MC Conditioner - All Things Hip Hop! : Busta Rhymes: Comeback King? Browsing Hip Hop DX today, I came across the first bit of news that has interested me in a while. Busta Rhymes has signed to Cash Money Records, joining Lil Wayne, Drake and Nicki Minaj on what is currently the hottest label in the rap industry. This has capped off a fantastic year for an MC whose career seemed to be nosediving after 2009's terrible Back On My B.S. This was the result of a poor 7 year run that started with 2002's It Aint Safe No More, picking up slightly with The Big Bang, but an acrimonious departure from Aftermath Records seemed to be the beginning of the end for the Brooklyn native. Back on my B.S flopped both with critics and fans, poor sales reflecting the lukewarm reception for the project. In response, Busta promised a new album, Chemo, suggesting that hip hop needed saving. The more unkind among us may suggest that hip hop needed saving from faded stars devoid of enthusiasm and happy to pick up a cheque without a shred of artistic endeavour, but Busta had other ideas. After the project was pushed back and eventually faded as a concept, the rapper proposed a new album: Extinction Level Event 2. This is intended as a sequel to the 1998 album of the same name, but as yet has no firm release date. Instead, Busta has had an incredibly productive year in terms of guest appearances. Earlier in 2011, the rapper caught the ear with a charismatic verse on 'Crane Style' from Raekwon's Shaolin vs Wu-Tang. Wu Tang brethren Ghostface Killah also recruited the fellow New Yorker for his Apollo Kids. 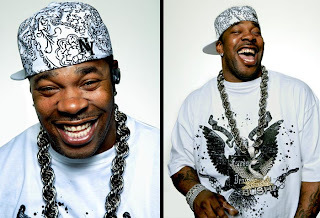 Busta seemed to be reveling in his freedom after leaving a major label, dropping well received collaborations with LL Cool J on 'Killin Em', Tech N9ne on 'Worldwide Choppers' and Styles P on 'Harsh'. The standout appearance, however, was when the MC secured a verse on the Chris Brown mega-hit 'Look At Me Now', alongside Lil Wayne. Busta steals the show with his improved quickfire delivery, spitting rhymes at a breathtaking speed on the catchy track. The video has accrued 130 million hits and counting on youtube, and eventually secured the rapper a spot closing the Lil Wayne behemoth Tha Carter IV. The increased exposure resulted in a BET cypher appearance, the veteran delivering playful battle rhymes in a memorable verse, fully cementing his position back in the rap lexicon. Taking all this into account, it was still a surprise when Busta announced on his twitter feed that he had signed to Cash Money records. It is as yet unclear which branch of the label he will yet appear, Cash Money or subsidiary group YMCMB. Either way, the news is welcome for those of us who were saddened to see a talented MC lose his touch. A new single 'Why Stop Now' has been leaked onto youtube, again collaborating with Chris Brown. If I'm honest, it's unlikely to set the radio alight, but it is another step in the right direction for an MC about to take back his rightful hold on the rap game. WOOHAAA!!! !